Houston is a big city! Which means there are a lot of homes that get bought and sold each year. We also can’t forget how for the last few years we’ve been dealing with floods, affecting many of our homes and displacing families across the city. It’s more important than ever to make sure that you know exactly what you’re paying for when buying a home. Whether you’re an investor or you’re looking for a house for your family, there are a lot of issues with a home that are either hidden or just waiting to surface. The last thing you want to do is pay thousands of dollars just weeks or months after purchasing a home because of something you could have caught for only a few hundred dollars. There are so many things that can be happening with a home that you don’t see, and in many cases the seller isn’t even aware of them. Right now, with the floods we’ve been having, there are long-term issues with foundation, plumbing, and framing. Water started to seep into the soil, which can cause shifts in the foundation that are so small yet can make a big difference in the long run. Those shifts can sometimes cause a lot of damage to the piping within the foundation. And if the water was sitting there for a long time, even if the home had been remediated, it can get soaked into the frame, slowly causing it to warp and crack the exterior. All of these things are huge issues that can cost an immense amount of money, and it’s best if you catch it early so you can accommodate it. There are quite a few reliable home inspectors in the Houston area, simply from the sheer size of our city. 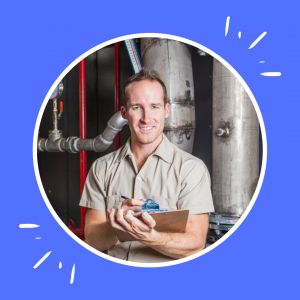 When it comes to choosing the right inspector, you want to make sure that have all their certifications and licenses in place first. Then you can look into how they do their work, what can they show you from past jobs, and how are they going to report on the inspection itself. A lot of inspectors use a standard format to report on the inspections, but some go above and beyond to supply videos, descriptions, and an online interface for you to access and keep them on file. Our clients like to work with us because we’re up to do date on technology and make sure that we can provide the latest and greatest for their convenience. Additionally, our group of inspectors have been working in the Houston area for over 15 years, and we have come to know what patterns to look for and how those issues (and their fixes) can play out in the long term with the city’s environment. We are here for anyone that’s a homeowner or a real estate investor. As a homeowner, this is a big financial decision, and you want to make sure that you’re protected and won’t have any surprises that come back to haunt you. This is why it’s important to have a home you’re considering buying inspected, and if there are issues found that the seller agrees to fix, make sure that the home is re-inspected so that yo know with confidence it was done correctly. We also work with real estate investors, such as our partner, Express Houston Home Buyer (https://expresshoustonhomebuyer.com), with making sure that the homes they’re purchasing are not going to have some expensive surprises later on. When it comes to real estate investing, any significant issue that wasn’t factored into the offer and purchase can throw the numbers off significantly, making the deal much less profitable, or in some cases, causing the deal to lose money when all is said and done. This also leaves a bad impression with private lenders, so it’s definitely much more beneficial to protect yourself and your investment to make sure that it’s a good deal. Your Houston Home Inspector specialist. Click here to learn more about Jack and our company!